Roy Wheeler Realty Co. MLS# 588613 - 4949 Lake Tree Ln, Crozet, VA 22932 - Roy Wheeler Realty Co. Incredible value!New roof! Located in an amenity filled, established subdivision;the home is situated on a premium, lot and surrounded on 3 sides by trees and plantings, this special home would be a pleasure to own. The light filled main floor has the contemporary feel of a new home; 4/5 bedrooms on the 2nd level, full finished basement has kitchen and separate living space. Check out the remarkable screened porch with fireplace – perfect for entertaining or as your own sanctuary. Large fenced back yard! 2 car garage. 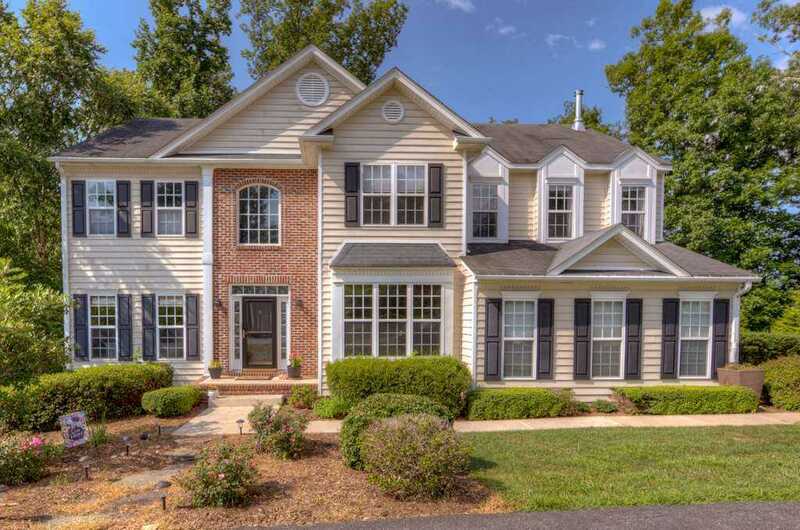 Western Ridge offers an outdoor pool, tennis courts, exercise room, large clubhouse; walking trails connect to the Crozet Trails; walk to Licking Hole Creek – canoes & kayaks permitted, playground, seasonal pool. Directions: From Crozet, travel 1.5 miles on Three Notched Rd (240). Turn left into Western Ridge, onto Park Ridge Dr., Left on Lake Tree Ln. Home on Right.